Clear aligners are a great alternative for patients who want a straighter smile but do not want to wear metal braces, or for patients who have had treatment in the past and want to make minor corrections to their smile. 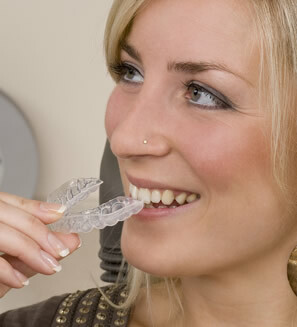 There are several advantages to orthodontic treatment with clear aligners. Often patients wear clear aligners in preparation for porcelain restorations in order to have the most conservative preparations possible. Minimal preparation veneers may be an option after using clear aligners.